The Nyaka AIDS Orphans Project? Jessica ran her first marathon on behalf of Nyaka. I first met Jackson back in 2003. I worked at the bank. He walked in and needed to do a wire because he was "starting an orphanage in Africa." I was so fascinated with his story and what he was doing we became good friends. I remember getting pictures from him of the first well that was installed. I ended up moving in 2006 and we lost contact. Six years later I was reading CNN and read this title that said "Cashing in the American dream to help AIDS orphans" and I thought that sounds a lot like Jackson, clicked on the link and there he was! I emailed him, we reconnected and long story short I introduced him to some friends of mine that introduced him to TEDx Traverse City and the FIM Group. What about Nyaka inspires you? The ripple effect one person can have on impacting the world. These children have some of the hardest stories but they still have the biggest smiles. All it takes is one seed. What have you done to support Nyaka? Jessica with her husband Ryan, and their two sons Shamus and Padraig. across the world right now isn't an option. So I am an ambassador for this organization. Getting the message out about the story and introducing Jackson to anyone I can. My family and I also donate every year, attend the annual fundraiser and I ran my first marathon to raise money for NYAKA. I've also introduced the company I work for to NYAKA and we helped raise supplies for their school. What do you wish other people knew about Nyaka? I wish other people knew just how much Nyaka was doing for the children. The holistic approach this organization takes is amazing. What do you do with your time? Work? Hobbies? I am the Vice President of the Hagerty Group Office. I love to spend time with my husband Ryan and our two sons, Shamus and Padraig. We are die hard Michigan State fans, GO GREEN! When I'm not working I love to run, read books, golf, and listen to music. I'm a member of the Zonta Club of Traverse City and I serve on the board of The Children's House, an Independent Montessori school. 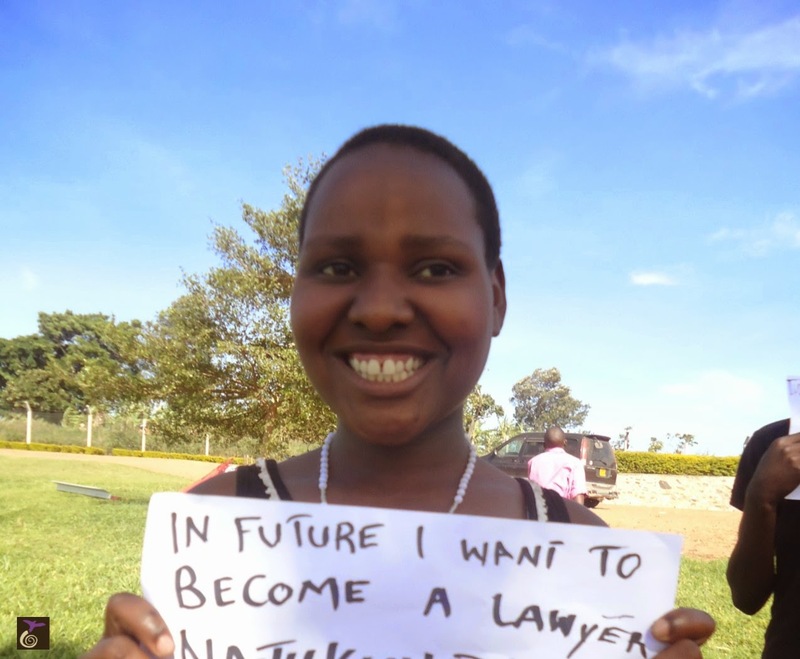 Ashi is a young lady who is very passionate about community service, giving back,and helping the Students of Nyaka! She draws her inspiration from her Professor, Anna Maheshwari at Schoolcraft College who introduced her to The Nyaka AIDS Orphans Project and Jackson Kaguri. Two people whom she says "are actively working to strengthen the importance of community service in youth." Ashi has coordinated events and fundraisers at Schoolcraft Community College and Novi High School in Novi, Michigan as well as fundraising on her own raising over $2,000.00! She initiated a fruit basket and a scarf fundraiser, and has also collected old books through a book drive for the students of Nyaka. Ashi has also volunteered at one of Jackson Kaguri's presentations and at a Concert for Africa. When Ashi takes a break from fundraising for Nyaka she says her hobbies are "getting involved in Novi Youth Council through various leadership opportunities with my fellow friends at Novi High School, exercising, and reading." Ashi is such an inspiration, and definitely deserves the recognition of being a Young Hero for Nyaka! Ronald and Gloria are Grateful for YOU! Imagine that you are a child—almost too young to keep memories—and one day your father, who has been sick your entire life, is gone. You never knew your mother but you know the same illness also took her away. At the funeral, as you hold your younger sister’s hand, you hear the whispers. Slim. You don’t know what the word means but even your young ears can feel the weight and sadness behind it. What you know for certain is that now you and your sister are completely alone. 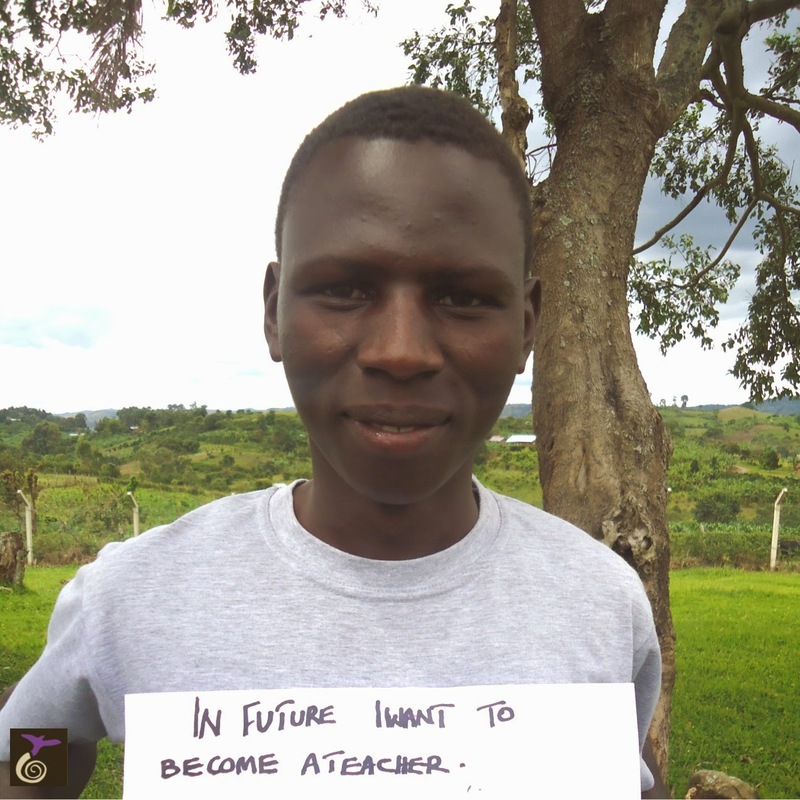 This is the memory that Ronald has of his early life after his parents passed away from HIV/ADS. His story begins very similar to the story of many children in Uganda. Luckily for Ronald and his little sister, Gloria, two amazing things happened to them. The first was that their grandmother learned about her son’s death. They lived far away from but, as soon as she heard that her grandchildren needed her, she made the long journey to rescue them and bring them back to her home. The second occurred shortly after. Although their grandmother loved them deeply and cared for them as well as she could, she could not afford to send them to school. Then The Nyaka Primary School opened in their village of Nyakagyezi. Ronald and Gloria were among the first students to attend. They were given free education, uniforms (with shoes! ), healthcare, and nutritious meals! Ronald and Gloria are now both in secondary school. In just a couple years, they will both be attending university and they will be able to repay their grandmother for the hard work and sacrifices she made while raising them. Ronald wants to be a teacher and his sister, Gloria, wants to be a lawyer. There are so many children whose stories that people like you are changing every day. Precious, little lives that would otherwise be trapped in a lifetime of poverty, unable to share their gifts and talents with the world. They have this opportunity because of the compassion of people like YOU! Today is The Beginning of the August Global Giving Challenge! YOU have the opportunity to make your gift go further this August through our partner, Global Giving! If you make a new, recurring gift to Nyaka at some time during the entire month of August, YOU could help YOUR children win $1,000 from Global Giving! If we raise $2,000 in recurring donation funds for August, Global Giving will award us $1,000! You must keep your recurring donation for at least three months so your donation will count. It start on August 1st at 9:00am (EDT) and lasts until August 31st at 11:59pm (EDT). If we don’t make our goal of $2,000 in recurring gifts, we will miss out on the $1,000 prize! Please give starting TODAY at 9:00am (EST)!